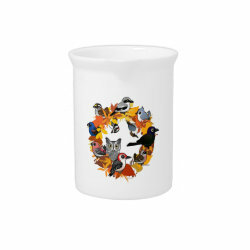 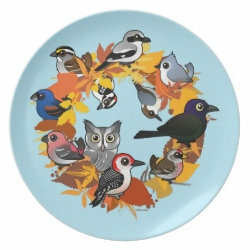 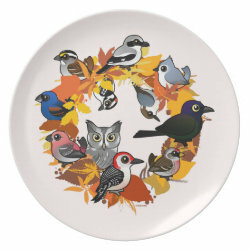 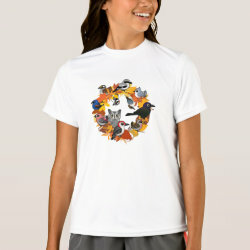 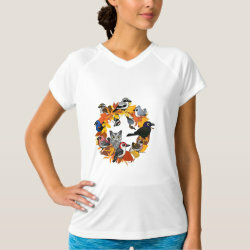 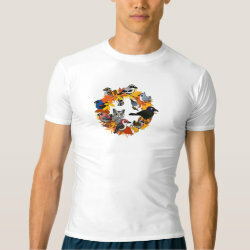 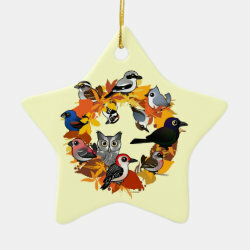 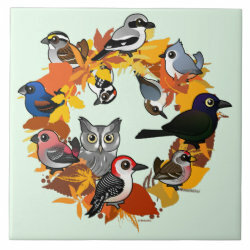 A group of North American birds gather on a festive autumn wreath to celebrate the changing of the seasons. 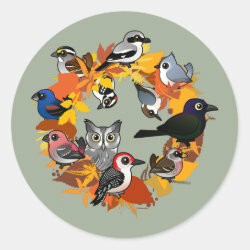 Northern Shrike, Pine Grosbeak, Red-bellied Woodpecker and Screech-Owl are just some of the birds ready to get cozy for the upcoming fall. 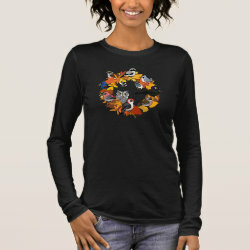 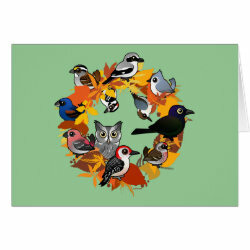 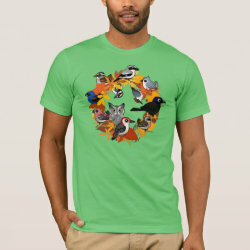 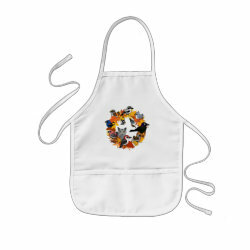 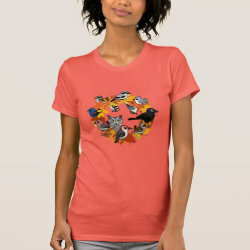 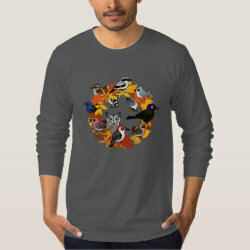 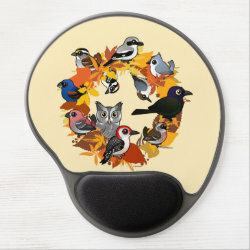 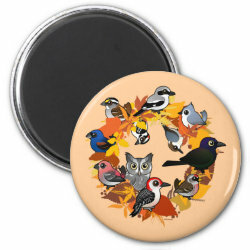 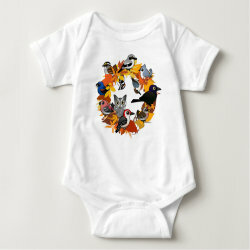 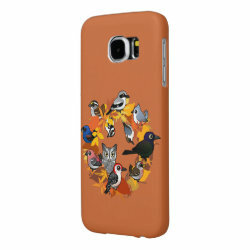 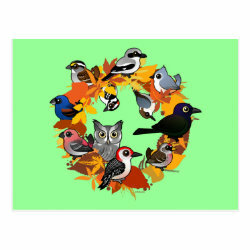 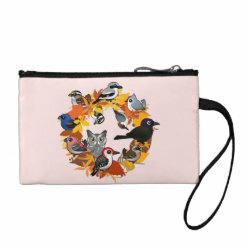 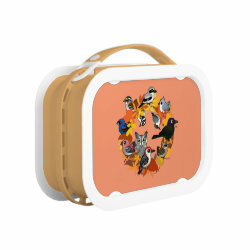 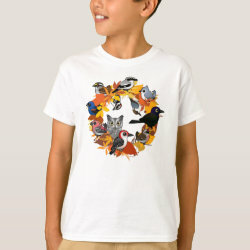 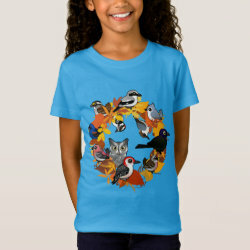 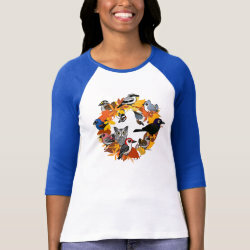 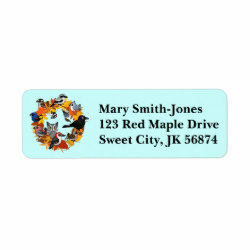 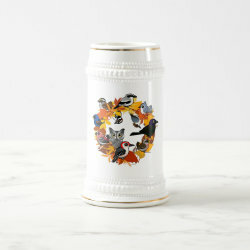 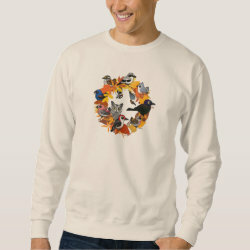 Autumn Wreath of North American Birds Fleece Blanket, 30"x40"